Folks here is a beautiful polished pendant piece from Lightning Ride that features a Skull! 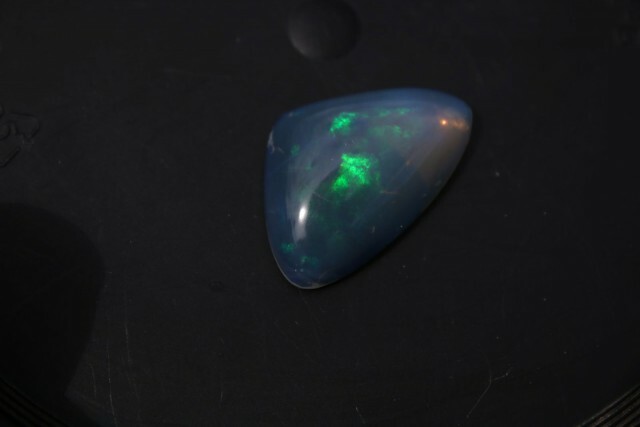 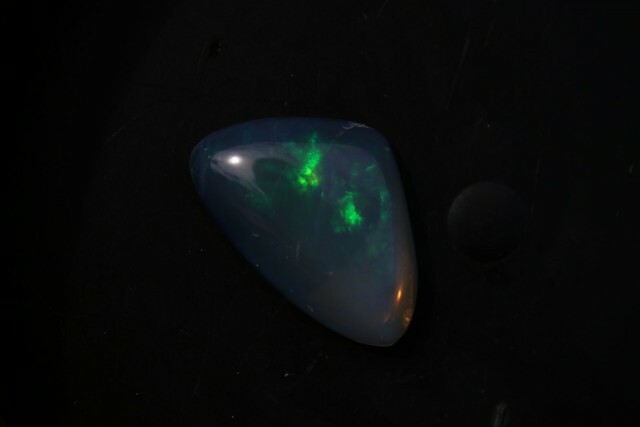 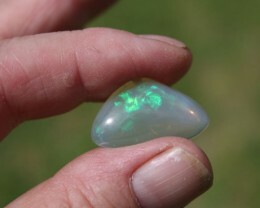 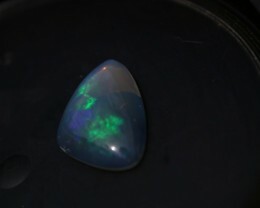 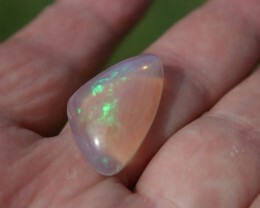 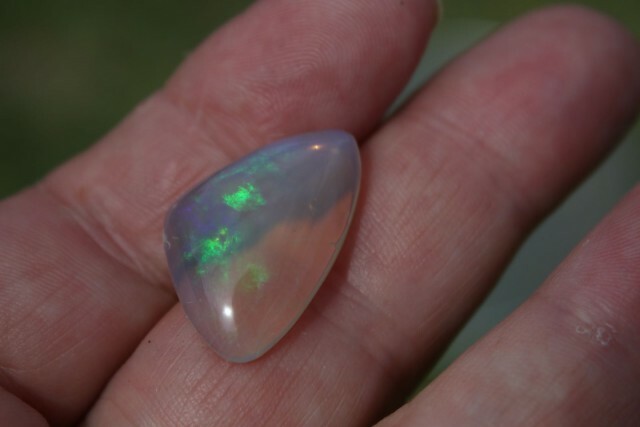 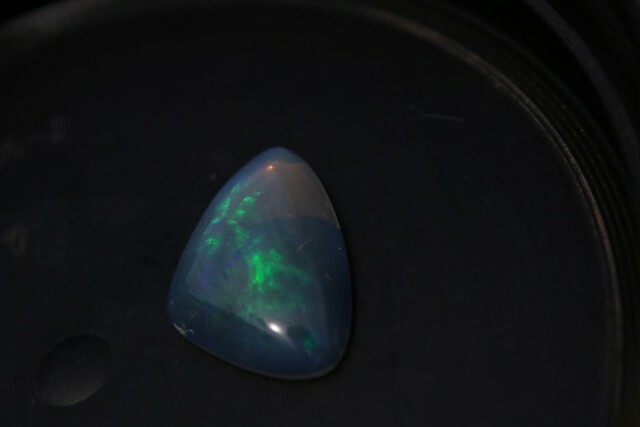 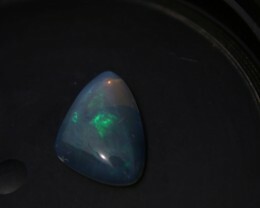 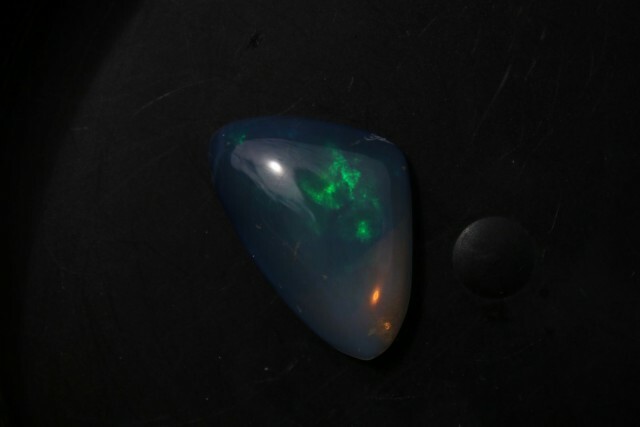 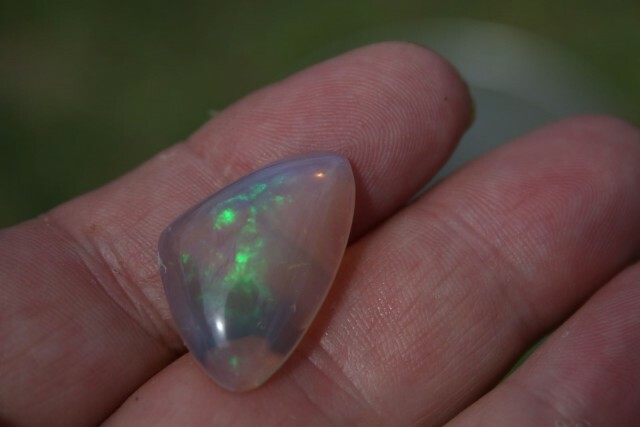 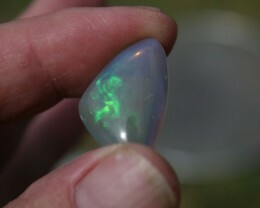 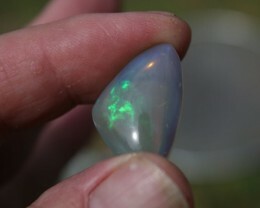 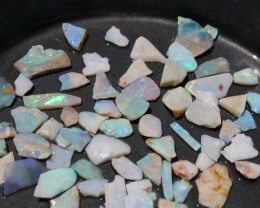 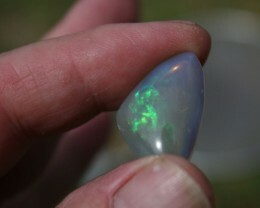 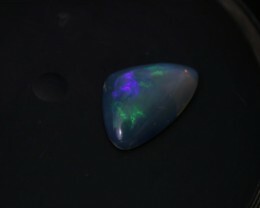 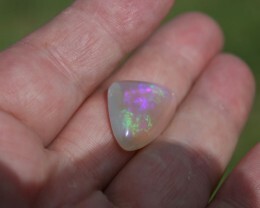 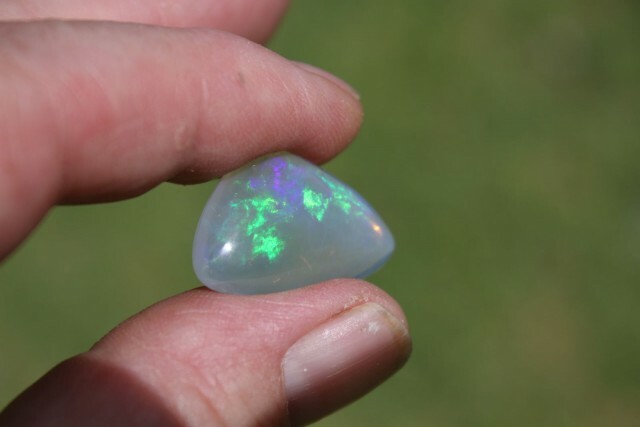 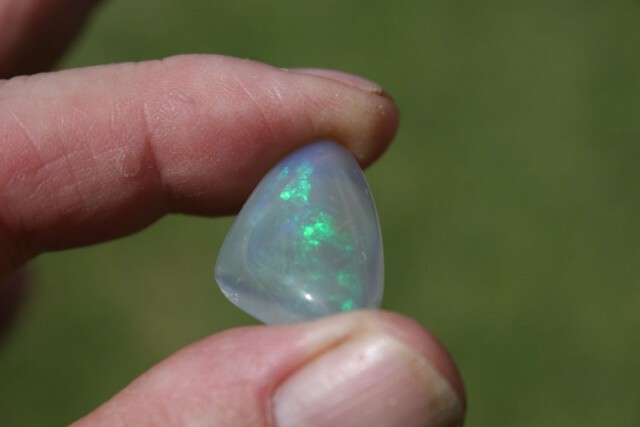 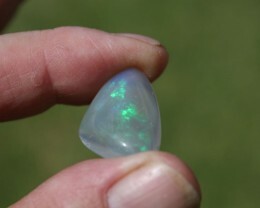 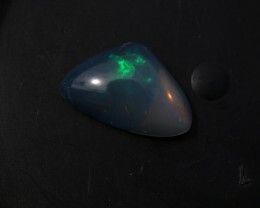 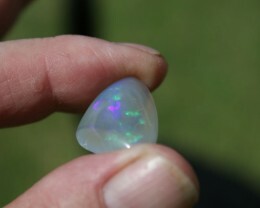 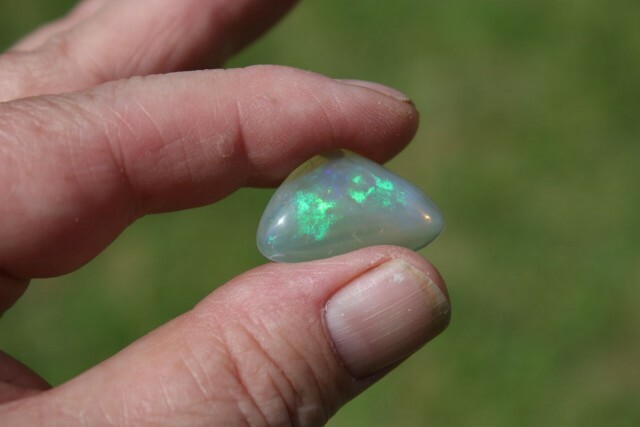 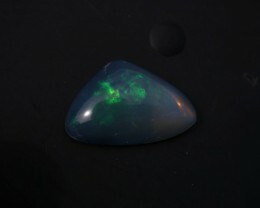 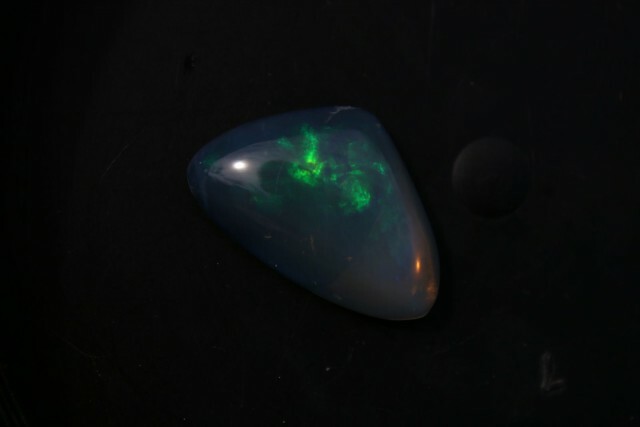 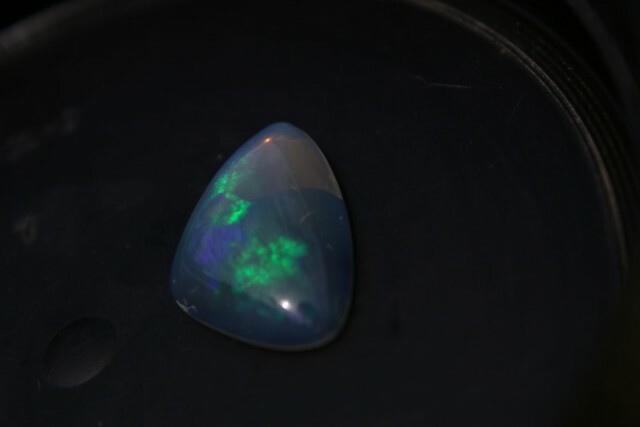 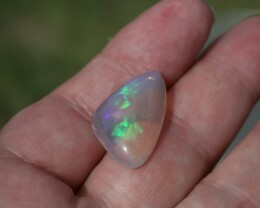 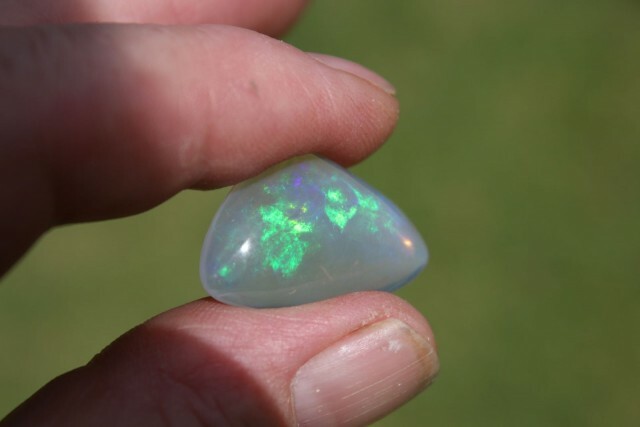 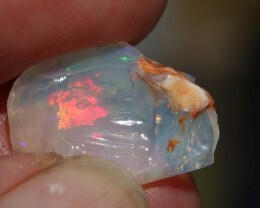 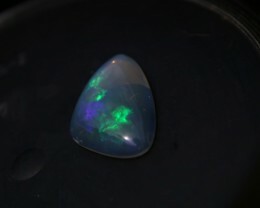 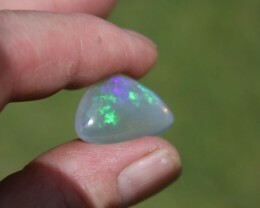 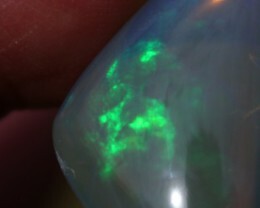 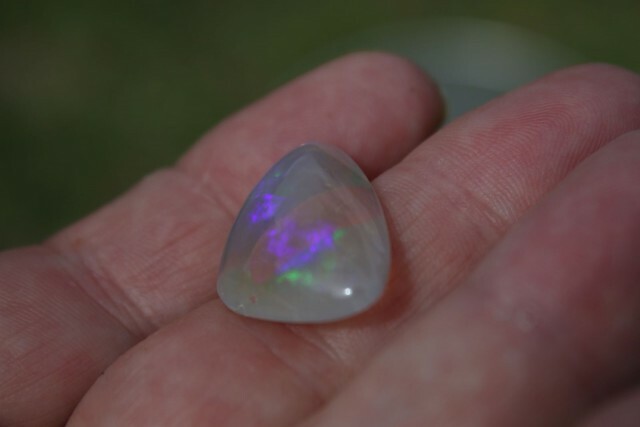 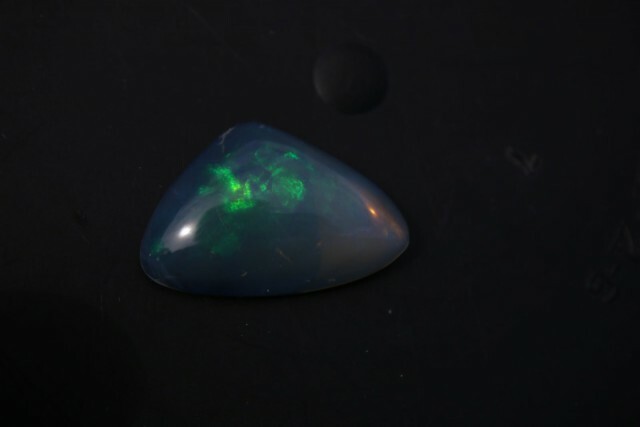 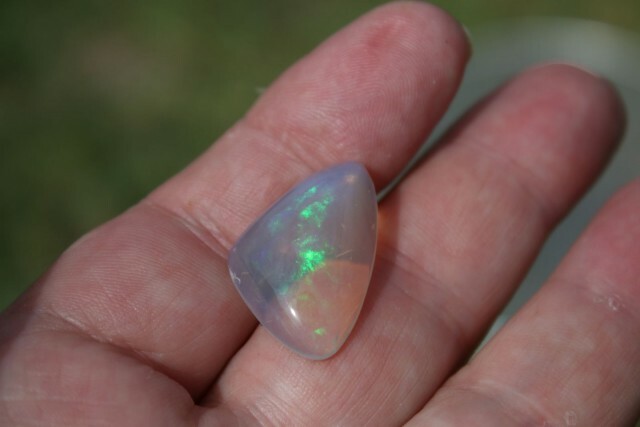 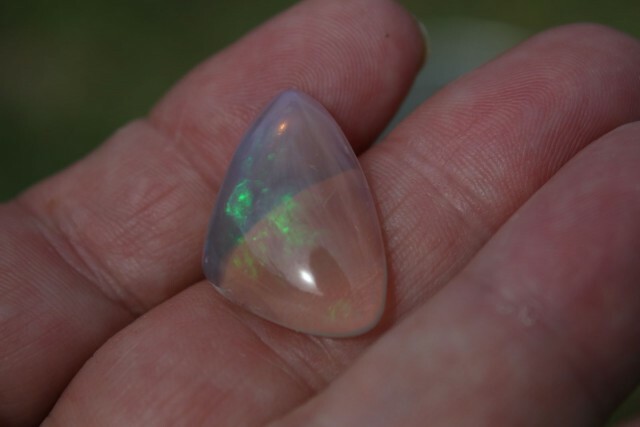 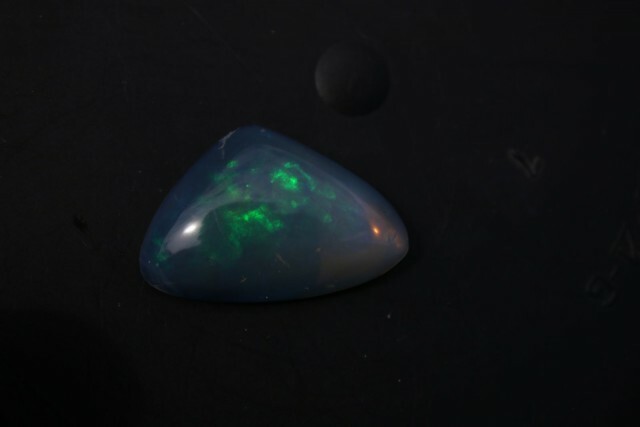 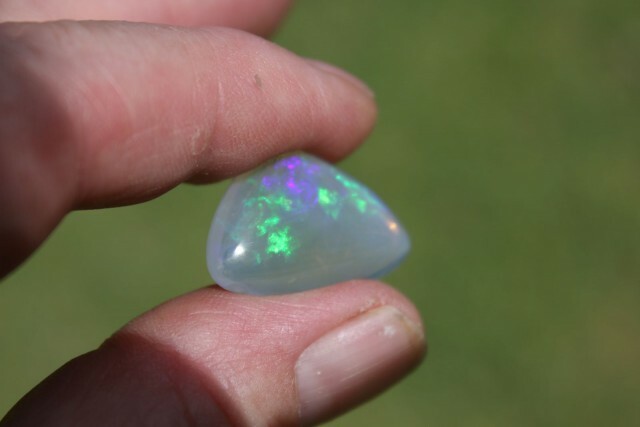 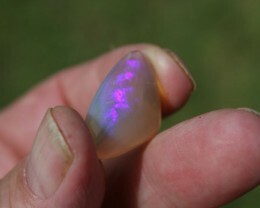 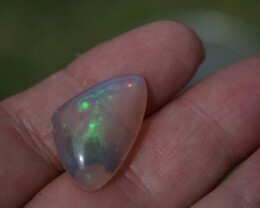 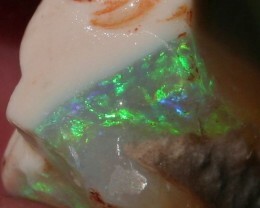 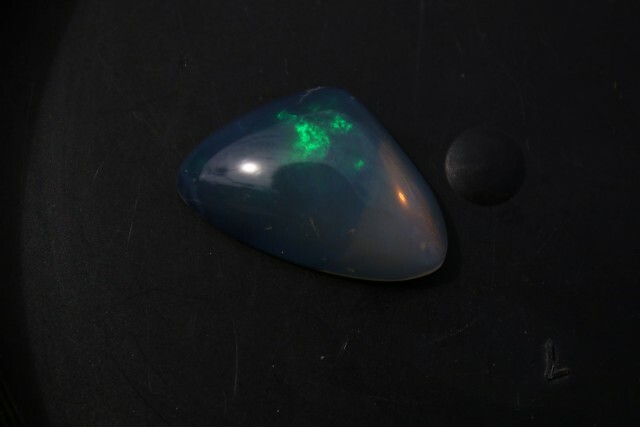 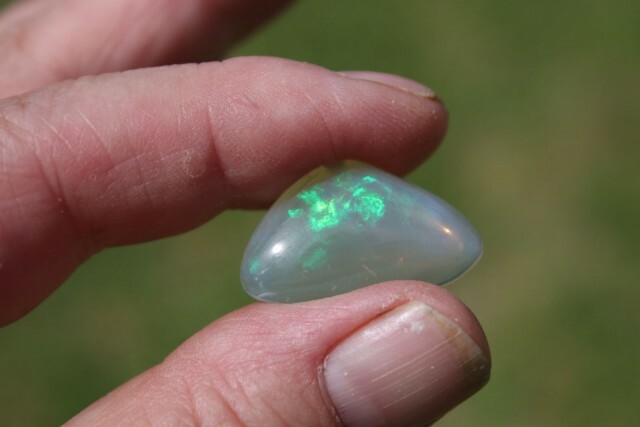 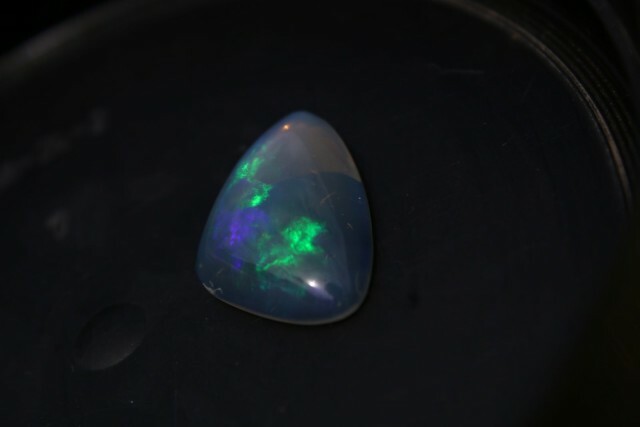 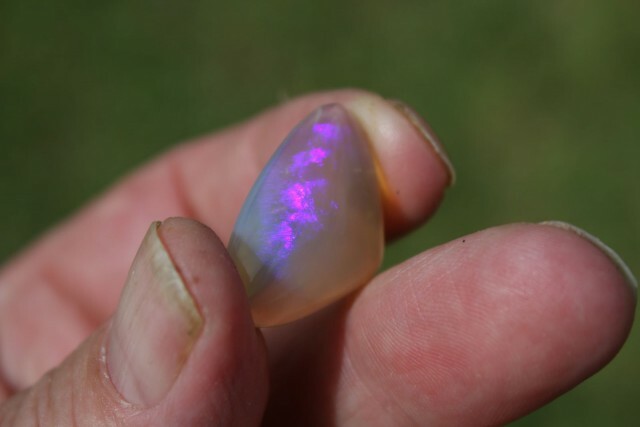 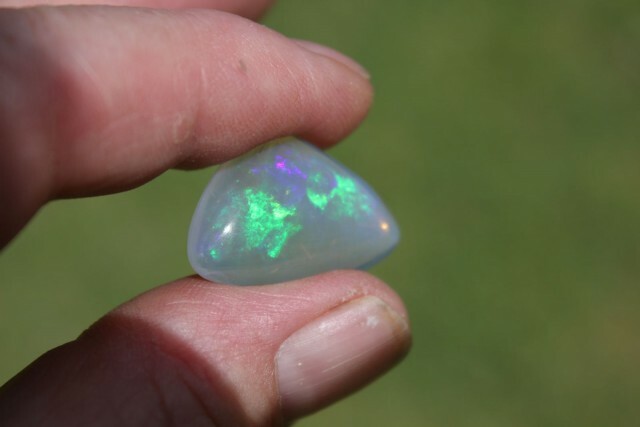 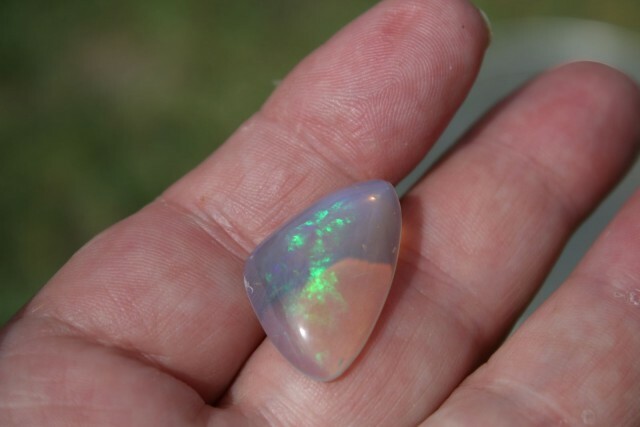 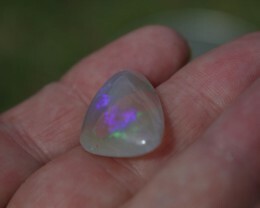 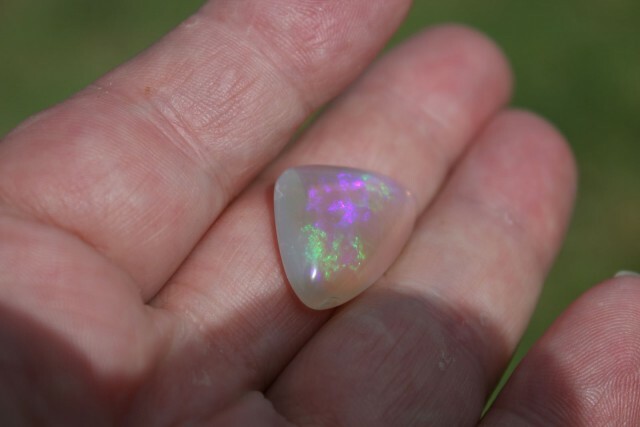 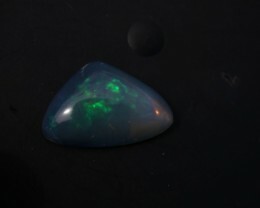 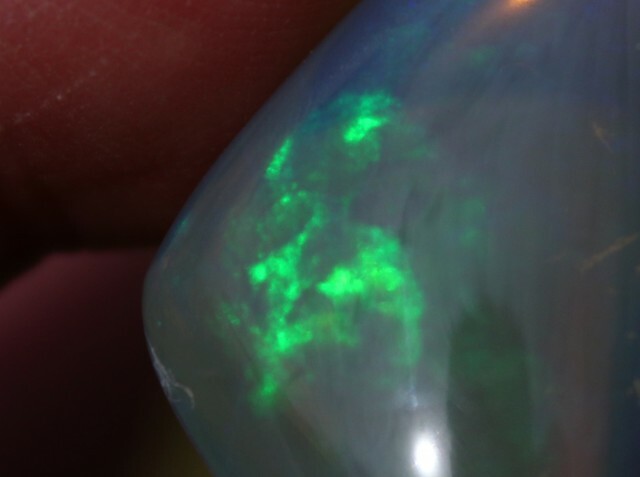 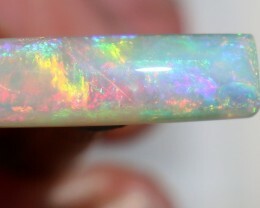 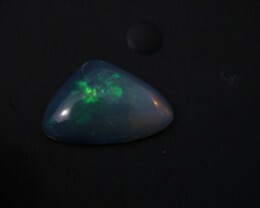 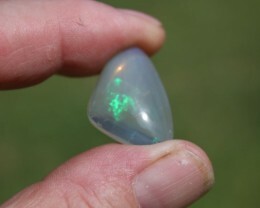 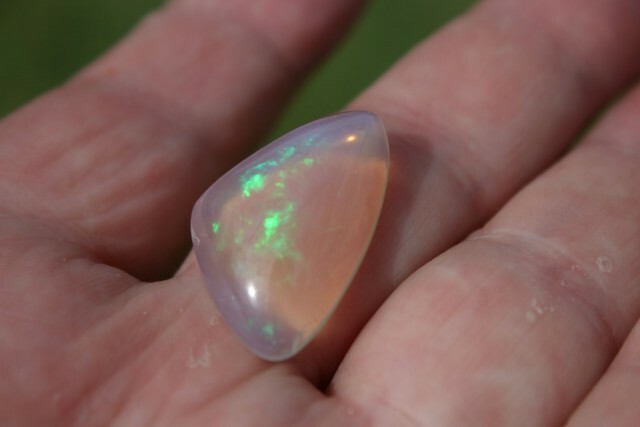 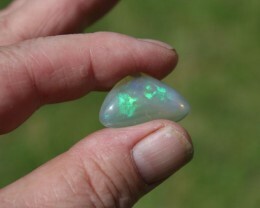 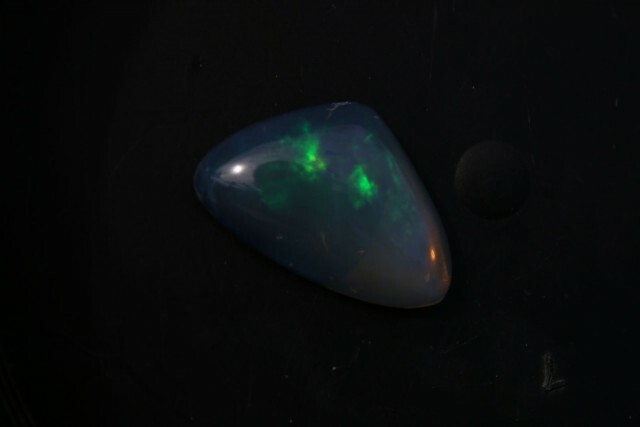 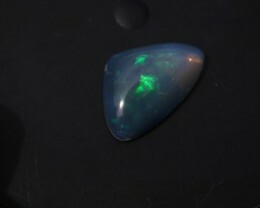 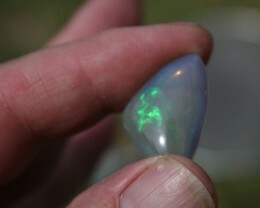 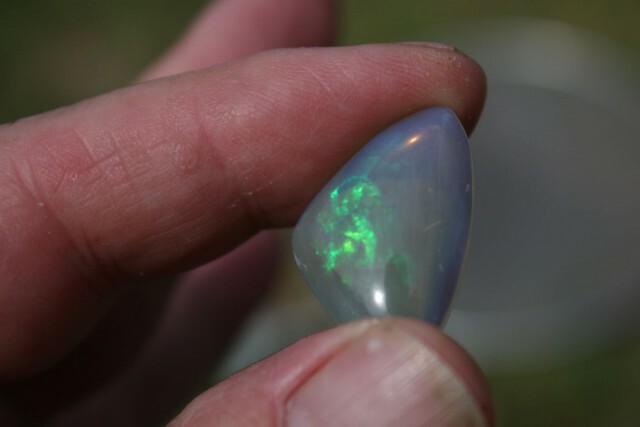 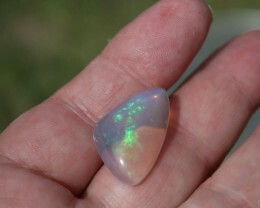 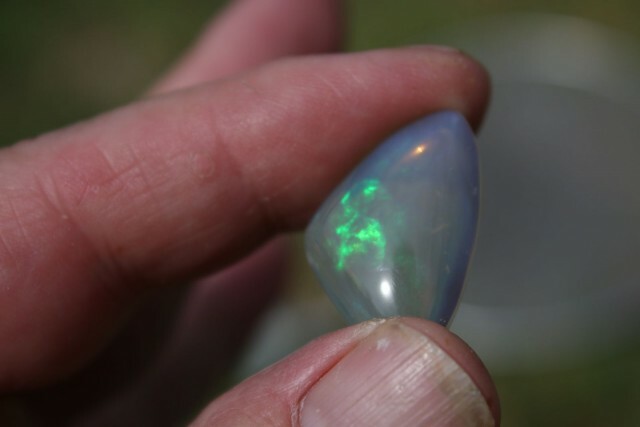 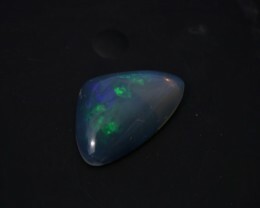 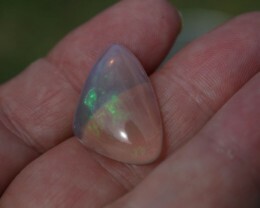 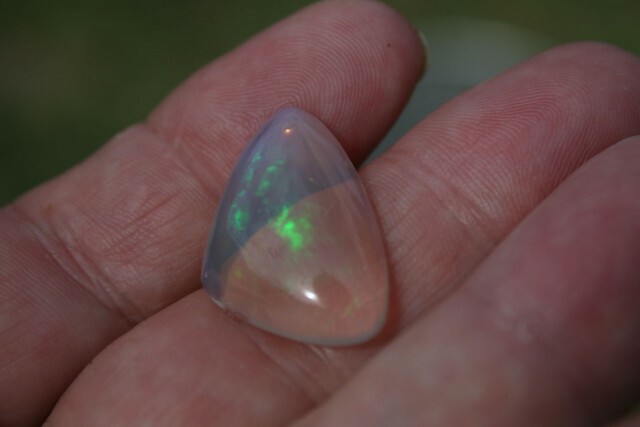 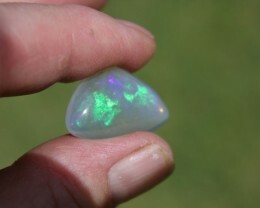 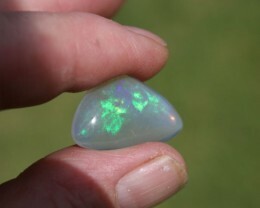 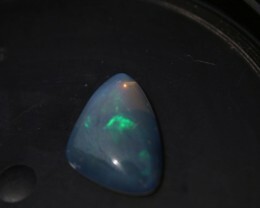 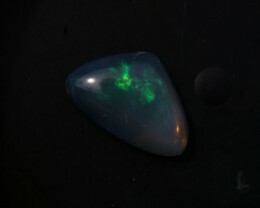 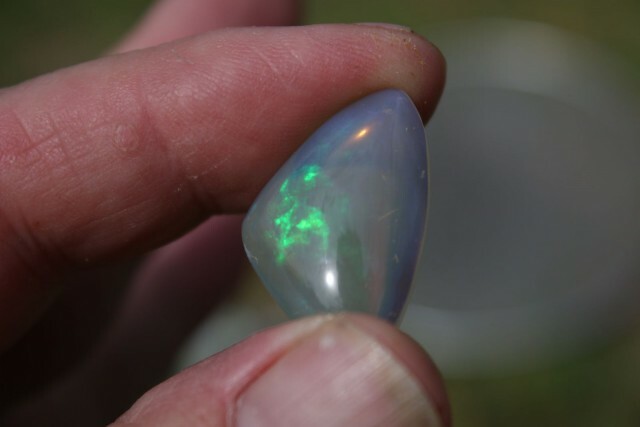 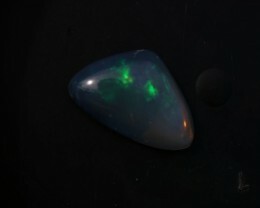 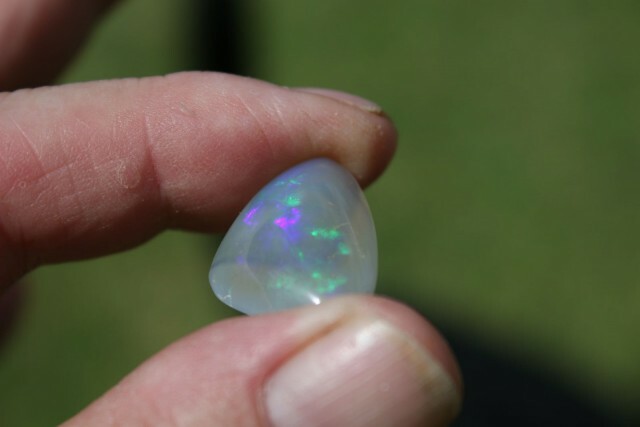 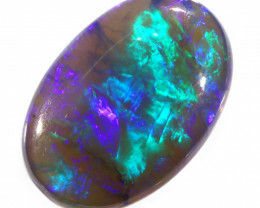 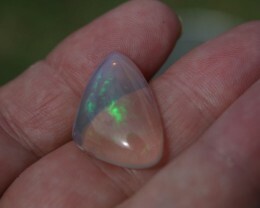 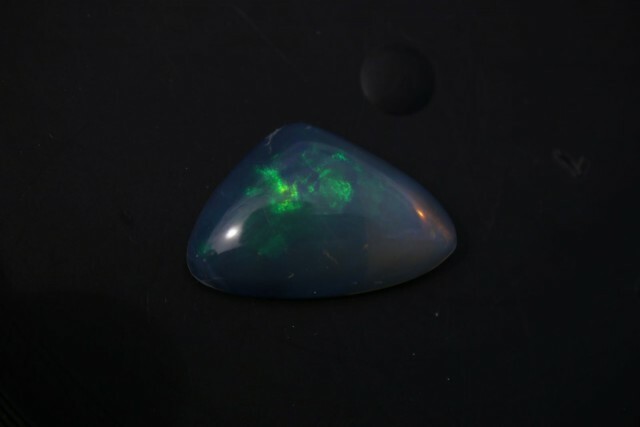 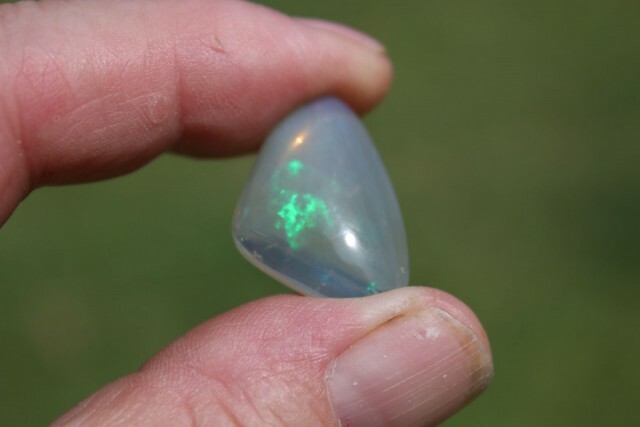 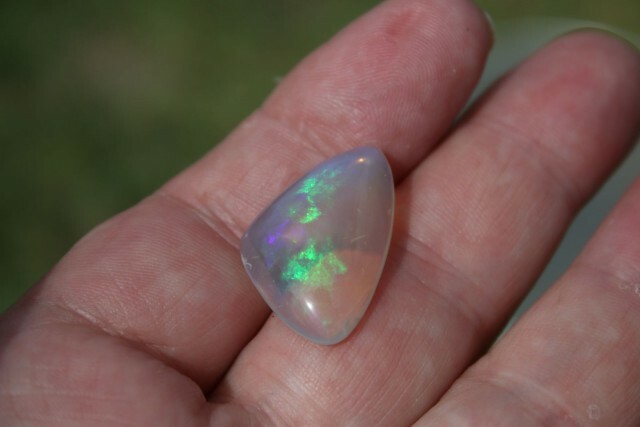 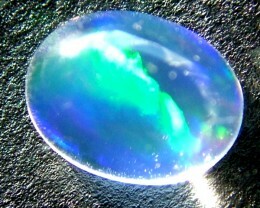 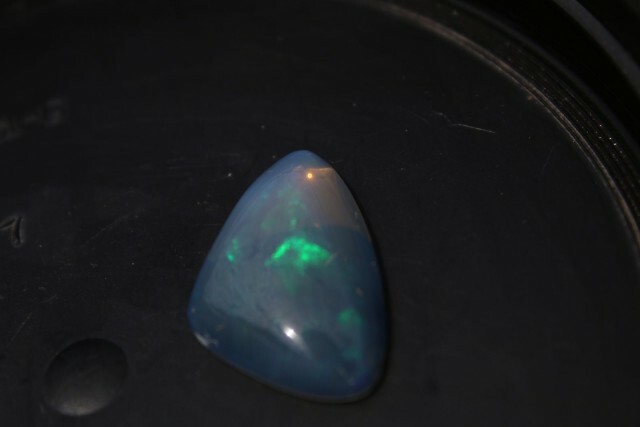 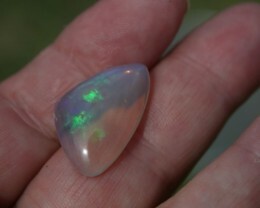 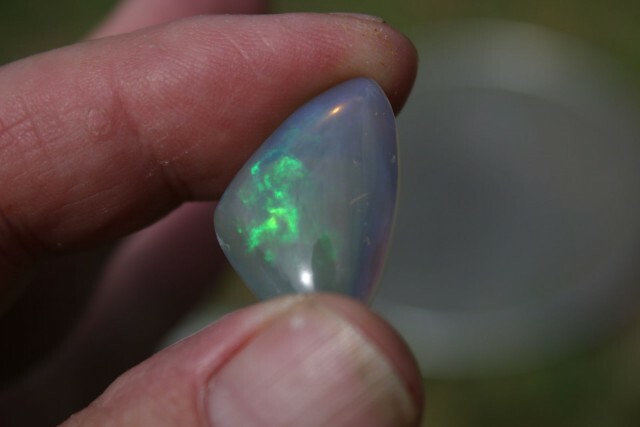 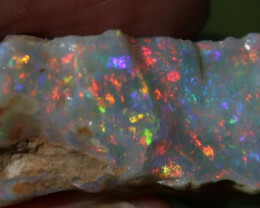 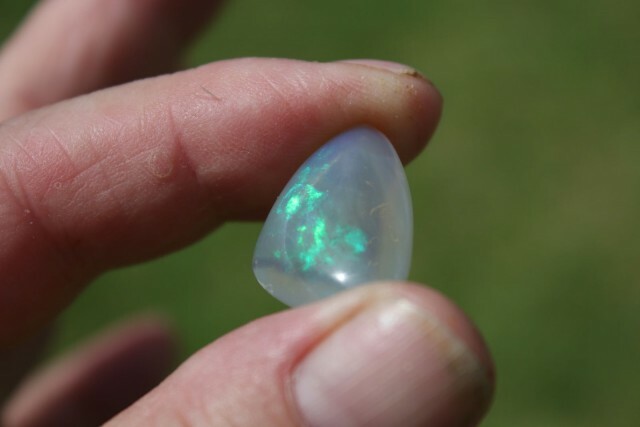 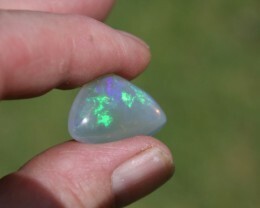 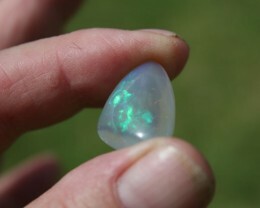 This Opal measures 26 x 18 x 6.4 mm weighs 15.4 carats and has been cut with an edge ready to set. 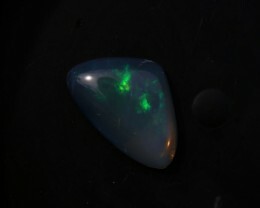 It features a lovely emerald green flash that shines as well indoors as outside. 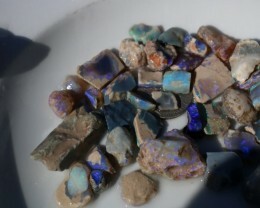 It tends to blue at some angles. 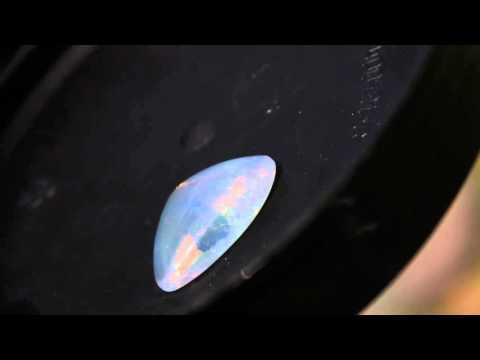 The crystal is almost perfectl just a couple of tiny inclusions the naked eye cant see. The color although exceptional, is fleeting, so I have made this one a bargain. 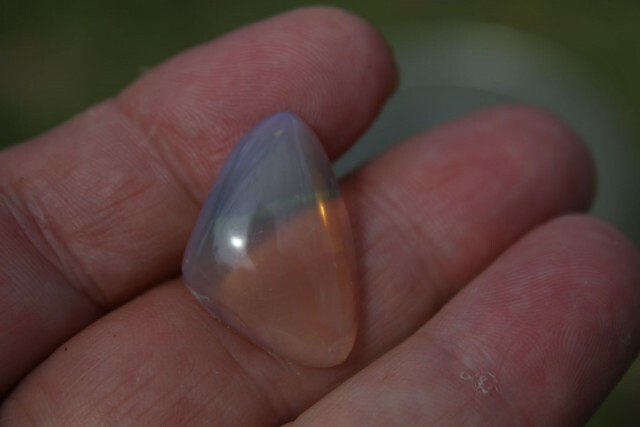 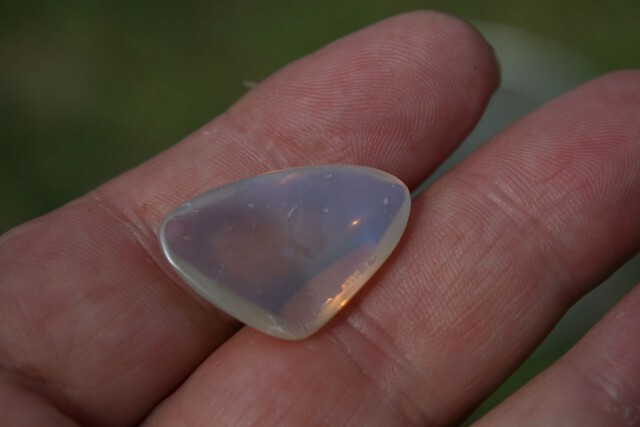 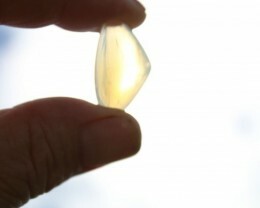 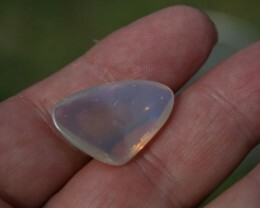 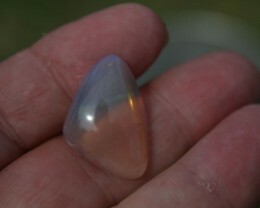 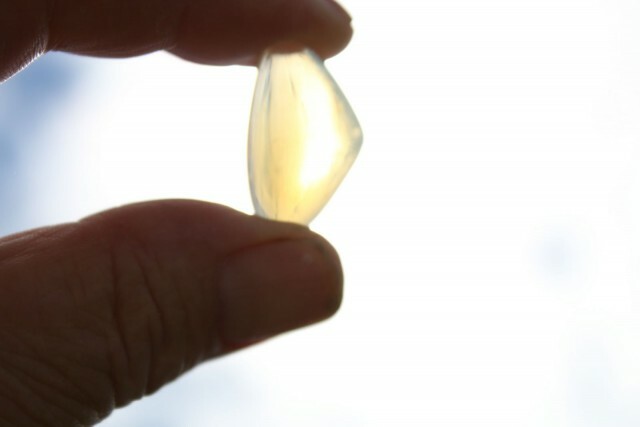 This will make a beautiful pendant or ringstone, ready to set, a real bargain for LR material.